Chikka S. fired a 67 on the par-71 course at the Laguna National Golf and Country Club to share the third place with Thailand's Danthai Boonma and Berry Henson of the United States. Chikka fired a 67 on the par-71 course at the Laguna National Golf and Country Club to share the third place with Thailand's Danthai Boonma and Berry Henson of the United States at the US$750,000 Asian Tour event. 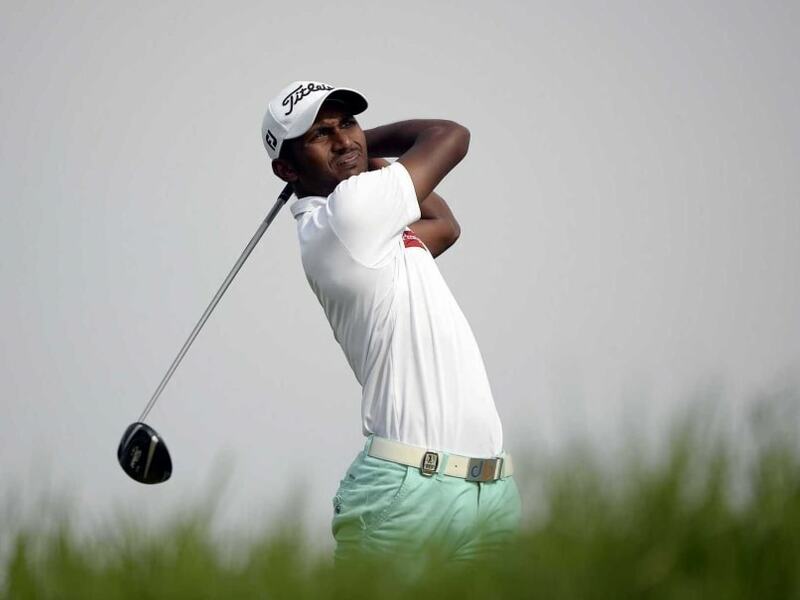 The Bengaluru golfer, who was at the joint seventh spot after the second round, now has a three-day total of 213. At the top of the table, Malaysia's Nicholas Fung and Bangladesh's Siddikur Rahman shared the third round honours as they continued their excellent form. Fung, who started the day at the second spot, carded a two-under-par 70 while Siddikur broke par for the first time with a 69 to climb up from the shared third position. The duo are two shots ahead of the chasing pack with three-day totals of two-under-par 211. Among other Indians in the fray, Jyoti Randhawa fired a 68 to be at the shared fourth place with a total of 215. Khalin Joshi scored 70 to be tied sixth with a total of 217. Chikka started his round on a promising note with a birdie on the opening hole. He went on to pick up birdies on the fourth, sixth and eighth holes with a lone bogey on the seventh for a satisfactory front nine. On the back nine. he had birdies on the 11th and 15th with a bogey on the 13th. "My scores have been improving everyday which is great. I'm confident with my game and I've been playing well. I didn't putt well on the first day and even yesterday, the putts were not falling in but I made sure I hit a lot of greens to shoot a one-under in the second round," Chikka said after his round. "I played good last week too but I just didn't manage to hang in there on the last few holes. I know my game is in shape and I am very confident with how things are going," the Indian added. Fung meanwhile, is ready for a final day showdown after having endured a difficult season where his best result was a tied-42nd finish in Chinese Taipei. But the Malaysian knows that a cautious approach on the demanding World Classic course will be vital. "Tomorrow, I'll try to play like how I have been playing these few days. I will remind myself not to be greedy and get aggressive out there tomorrow. I will try to keep my ball in play and tell myself not to make anything worse than a bogey when I hit a bad shot," Fung said. Siddikur, who came close to lifting his third Asian Tour title in India last week, has another chance at glory again at the World Classic Championship. "Honestly, I really enjoyed my round today. I gave myself very good chances out there. I managed to grab those chances and came back with a low score. I am really happy with how I played today. "This is not an easy course. You have to be patient. It will be the same tomorrow. We are all tired and I think the player who has the strongest stamina and a good mental game will have the chance to win tomorrow," he said.